Stunning Brick contemporary colonial. Set in the sought after West Newton, Braeburn neighborhood. Meticulously renovated, this 5,400+ Square Foot home is the perfect blend of elegance and classic detail, showcasing formal and informal spaces perfect for today's lifestyle. Discover a handsome library with custom built-ins, oversized family room (34x19)with fireplace and patio access, a gourmet kitchen with all the bells and whistles, and both a formal living room and dining room. The second and third floors host 5 bedrooms and 3 full baths including a gracious master suite. 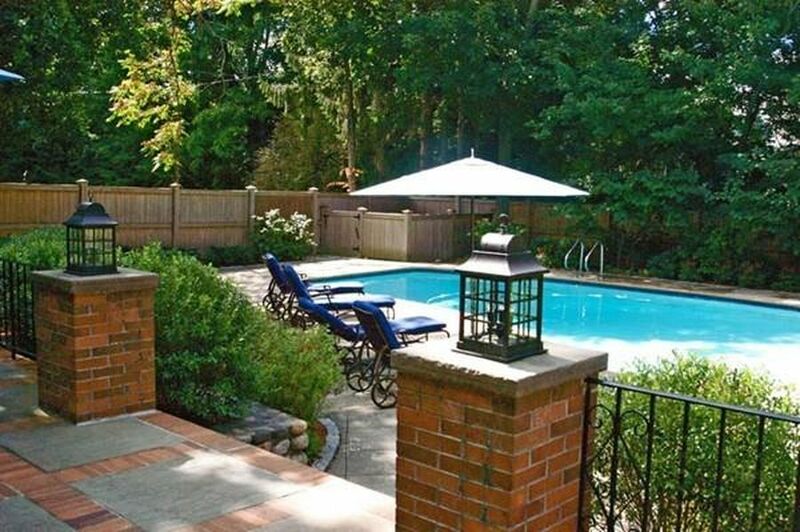 Masterfully landscaped grounds complemented by a patio and a salt water pool. Heated garage offers a workshop and hobby space. Dream commuter location to Seaport, universities, medial centers and innovative districts.